Historical Fiction Book Covers: The Historical Novels Review Names Unravelled an Editor's Choice! The Historical Novels Review Names Unravelled an Editor's Choice! 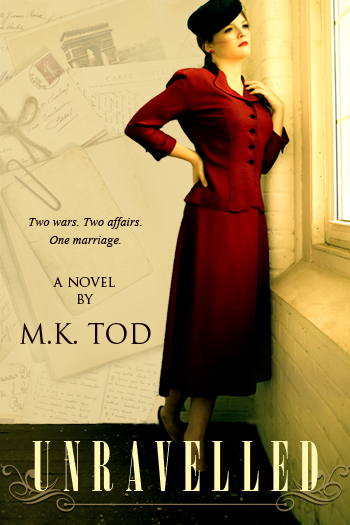 Please join me in congratulating debut author Mary K. Tod! Her novel, Unravelled, was just named an Editor's Choice by the Historical Novels Review, the Historical Novel Society's quarterly review magazine--one of only two indie titles to receive that honor in this edition! There is an abundance of superbly written detail woven into the story, done with skill and compassion. In addition, the presentation of the book is on a par with any mainstream published book, from the quality of the cover to the layout of text; this is how all indie published books should look and feel: professional. I know firsthand how hard Mary worked to ensure that her novel was just that--professional--and that it could compete with novels coming out of the big publishing houses. And when I saw Unravelled in Sarah Johnson's post about new World War I novels back in October, I was very proud to note that the cover totally holds its own among all of the other big-published books on the list. Mary's recognition is proof that hard work, dedication to craft and quality, and enlisting help when you need it are the keys to indie-publishing success! 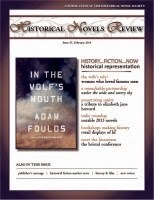 Are you a member of the Historical Novel Society? If you are a reader or writer of historical fiction, you should be! The society works hard to promote our favorite genre, and their facebook group is always fun place to hang out. Email me anytime to chat about your WIP!